Are you looking for a student-led approach to planning your homeschool day/week? 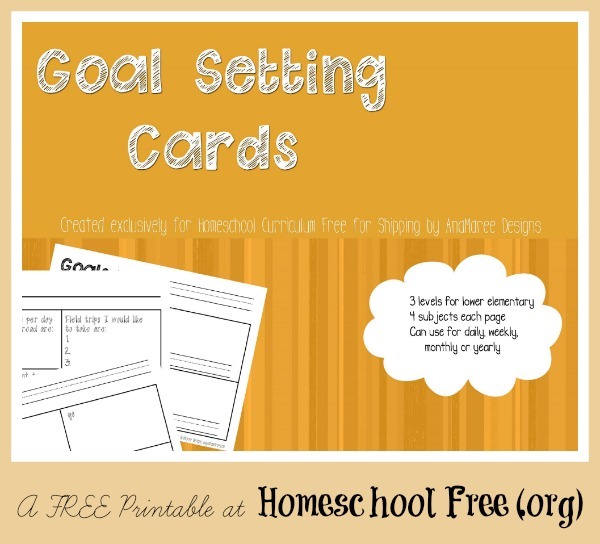 How about giving your child these FREE printable goal-setting planning sheets and letting them decide what they would like to accomplish in their homeschool! This is an EXCLUSIVE subscriber-only freebie! Thank you for following along! We hope you will enjoy our updates. We'll be adding more freebies occasionally as well - ONLY TO OUR SUBSCRIBERS - and as long as you keep checking your emails, you may just find a surprise or two occasionally! These goal-setting printable planning sheets are geared for younger students who would like more say in what and how they learn. Print out the sheet that works best for your child, let them write in their own goals, and experience a new motivating means to providing learning for their homeschool days. Included in this printable pack are 3 planning sheets - one for each level of writing skill at the lower elementary level. Each sheet has space for four subjects/goals. These are flexible to use as a daily plan, a weekly plan, or a yearly plan. This printable was created by one of our Facebook Group members. You can find her business page (and more great printables she's made) at Teachers Pay Teachers called AnaMaree Designs. Your child will love them! Subscribe now and you will immediately be taken to the download page! Then you will begin to receive our email notifications in the future. Thanks for subscribing!